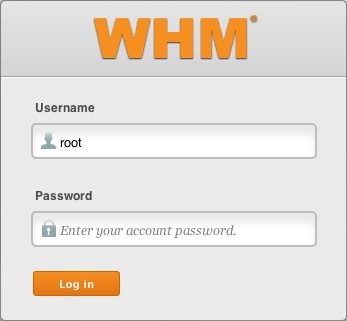 There are different ways that the WHM helps to transfer accounts to the dedicated server, as easily as possible. Here are the steps for the two most common ways. Log in to the WHM. Note: if you want to assign the account a dedicated IP then you would check the box next to Give new account an IP address. Once completed it will list that it was successfull and if it needed to change anything, like if it needed to change the username or password and why. Go to the Transfer section. Enter the Remote Server Information. Remote Server Type – The web control panel that the remote server is running, usually WHM. Remote Server Address – The hostname of the source server that the customer is migrating data from. This can be an IP address or something that resolves to the IP address of their other server. Remote SSH port – The remote SSH port you wish to use. By default, SSH runs on port 22. Check SSH Connection – Check to test your ability to connect to the remote server. Do Not Compress Transfers – Check to leave the transfer uncompressed. Compressing a transfer will use slightly more CPU from the source server, the transmitted data will be smaller and the transmitting time will be faster. Use SSL – Check to encrypt the transmitted data. Use Incremental Backups speed-up – Check to decrease the amount of time it takes to package the account on the source server. If a daily incremental backup is available, WHM will use that backup as a starting point. The system will then update the package before it is transferred. Login – Select the login method. If you select Root, you will need to enter the root password in the Root Password field below. If you select User, you will need to enter the remote account&apos;s username and password. Authentication Method – Select the connection method. If you will select Password, and you are a Root user, you will also need to select a Root Escalation Method. If you select Public Key, you may need to enter a SSH Key Password. Root Escalation Method – For User login only. Root Password – The root password for the account. Use FTP to Transfer – To use FTP as the alternative for transfer. Click Fetch Account list to display a list of accounts to copy. Select an account or accounts to copy. Select packages used by the account you&apos;re going to migrate.